When it is very hot we do not feel like copious or hot meals, however, even being summer we must feed and nourish ourselves well. 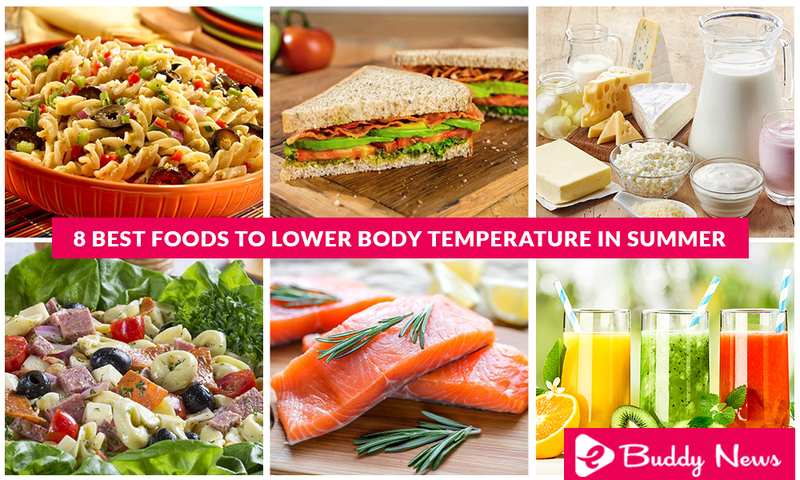 It is a matter of habits and opting for foods to lower body temperature. Find out more in this article. They can be served for breakfast next to a slice of toast and cheese or a pot of skimmed yogurt. And during the day, an orange or apple juice is the best liquid foods to lower body temperature and prevent you from eating any other food with no nutritional value. You can not forget about fresh fish as one of the best foods to lower body temperature in summer. It has fewer calories than meat and depending on the preparation method can refresh you. Accompany it with salad or vegetables. Best of all, during the hot months, it is easier to get salmon, sole or hake that has fatty acids such as omega 3 (healthy fat). Seafood is also an excellent solution to enjoy a rich, healthy diet and a refreshing lunch. Instead of mayonnaise, you can spread avocado. Instead of sausages, put palm hearts; Choose fresh sprouts, fresh cheese. You can innovate with what you have in the fridge.